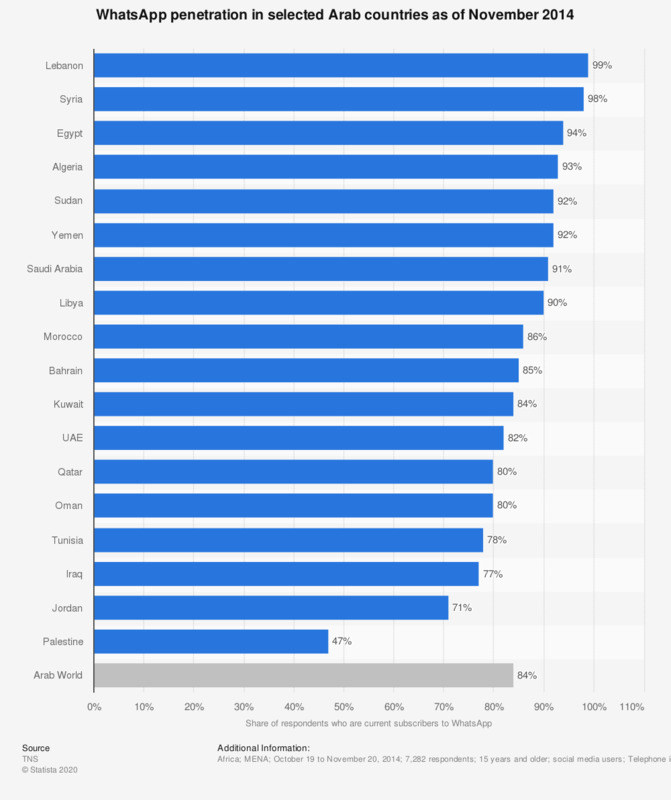 This statistic provides information on the WhatsApp penetration in selected Arab countries as of November 2014. During that period of time, Syria was found to have the highest user rate with 99 percent of social media audiences having an account with the chat app. Responses were received from GCC countries & Yemen, the Levant region and Iraq, and North Africa regions.